If you’re the owner of an older home, or if you’re planning to buy one, you may already know that some older homes have knob and tube wiring – a wiring method used in residential homes in the early 1900s to 1940s.take a look in the basement. 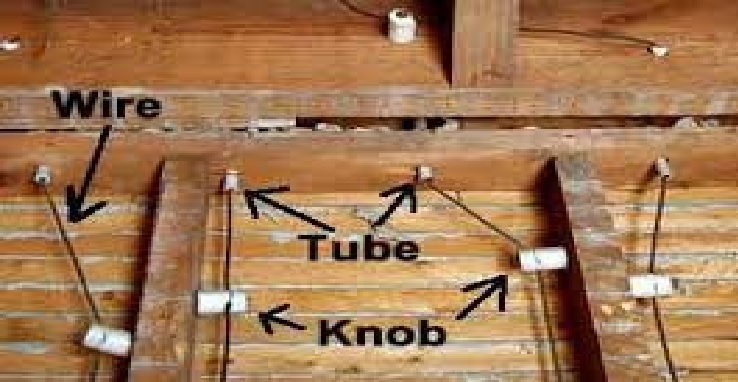 If you notice wires running through porcelain cylinders or “tubes” inserted in holes in the wooden floor joists, you have knob and tube wiring. You’ll also see porcelain “knobs,” which keep the wires secure, and prevent them from touching the wood along which the wires run. The wires are usually insulated with a rubberized cloth fabric. Knob and tube wiring is no longer installed and you may be surprised to find out that many insurers will not provide or renew coverage on homes with this type of wiring as they consider it to be a higher risk., Some insurance companies even require a total replacement of knob and tube wiring prior to providing insurance coverage. Book a consultation with our professional commercial and residential electricians for knob and tube wiring across Toronto, Brampton, Mississauga, Milton. Certified electrical contractors at H MAN ELECTRIC provide knob and tube wiring across Toronto, Brampton, Mississauga, Milton, North York, East York, Oakville, Richmond Hill, Aurora, Newmarket, Brantford, Markham, Vaughan, Pickering, Ajax, Oshawa, Scarborough, Whitby & surrounding Greater Toronto Areas (GTA) for more than 10 Years.